This is a timely and useful centerpiece for Thanksgiving. It’s perfect for holding nuts and mints or any other snack that makes a holiday complete. 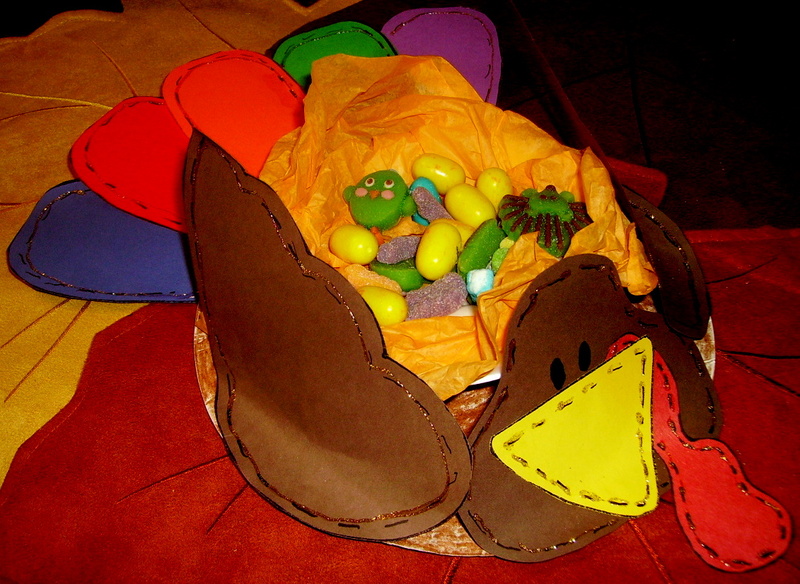 For patterns and directions to make this “Turkey Centerpiece,” look in the Thanksgiving Projects Gallery in the sidebar. This entry was posted in Thanksgiving and tagged easy thanksgiving crafts for kids to make, Thanksgiving, thanksgiving centerpiece for kids to make, thanksgiving crafts, thanksgiving crafts for kids, turkey centerpiece, turkey snack bowl. Bookmark the permalink.